OIFC is one of the leading Investment and Services Company and specialises in Billing, Collection & Debt Factoring for Electricity, Water and Telecom Services in the Sultanate of Oman over the last three decades, established in 1979. OIFC is considered as the Pioneer and is the single largest private sector listed company dedicated to this line of business in the Sultanate of Oman. OIFC is one of the leading collection service partner in the Sultanate rendering services to Public Authority of Electricity and Water, Muscat Electricity Distribution Company (MEDC), Majan Electricity Company (MJEC), Mazoon Electricity Company (MZEC), Dhofar Power Company (DPC), Rural Area Electricity Company (RAECO), Oman Telecommunications Company (Omantel), Omani Qatari Telecommunication Company (Ooredoo), Oman Wastewater Services Company (Haya) and provides meter reading and bill delivery services for electricity and water. OIFC’s long-term aim is to become the leading service provider and investment company in Oman. OIFC’s current business model provides good revenue visibility with rolling business contracts averaging about two and a half years; large and consistent cash flows; a strong network in Oman amidst a growing economy; a good brand name; and captive customer foot fall. 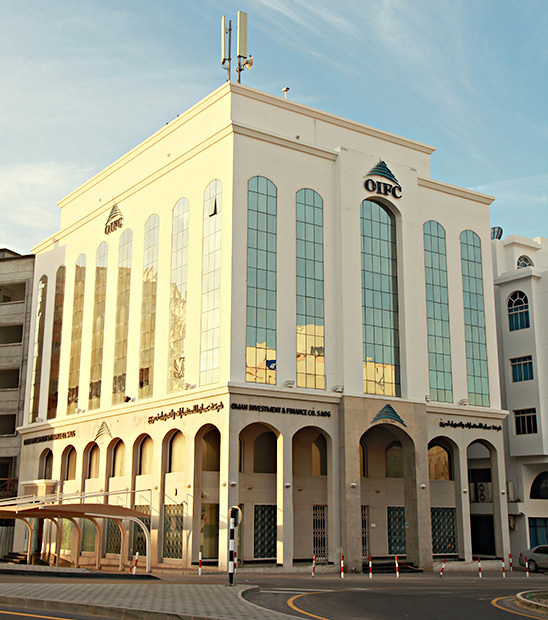 In order to capitalise on the above strengths, OIFC had identified the following areas: strategic investment in successful financial enterprises; market investments in growing and good pay-out companies; investment opportunities that have synergies with its core business; and the establishment of a new money-exchange and remittance company. OIFC started working on all the above strategies towards the end of 2009 and has already acquired significant shareholdings in leading banking, leasing & investment companies and engineering/contracting sector. Money Exchange and remittance Company was launched in April 2015 and is currently fully operational. OIFC is a Joint Stock Organization with a share capital of RO. 20 Million and is listed on the Muscat Securities Market (MSM), OIFC has established its reputation as an undisputed leader in Oman in providing services in telecom and utility sectors.